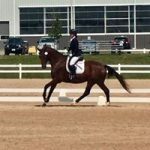 2013 imported Hanoverian bay 16.3hh mare. Beltano x Florencio x Donnerhall x Rubinstein. Elegant, uphill & feminine. Very sweet and loves attention. Solid foundation, proven bloodlines. Destined for the big ring! No vices, no soundness issues, and always been barefoot. 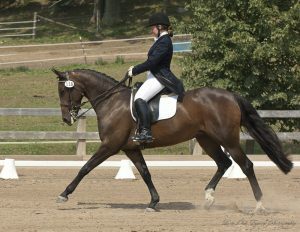 2012 imported Oldenburg 17hh bay mare. Balesteros x Florencio x Donnerhall x Rubinstein. Third level schooling PSG. Very modern upper level FEI prospect. Uncomplicated to ride. Easy to sit. Sweet temperament and wonderful work ethic. Not spooky. Easy to handle. Clean x rays. No vices. 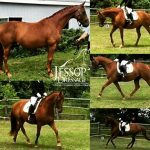 2013 Hanoverian 16.2hh gelding. Sired by Don Frederico out of imported state premium Brentano mare. Shown at training & first level scores up to 72%. Schooling second level with green clean flying changes. Loves to jump, uncomplicated to fences, 3′ experience. Good off property, on trails, and at shows. Puppy dog personality, ridden by AA and juniors regularly. Forgiving and willing . Easy to handle. Barefoot. Mild cribber. 2006 grey 14.2hh welsh x KWPN gelding. Fancy mover. Extensive show experience. 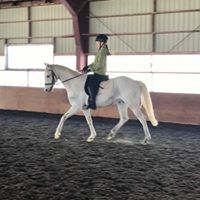 Schooling second level dressage and FEI pony. Forward, fun and uncomplicated to ride. Easy to handle, trailer, clip etc. No vices. No soundness issues. Born April 12, 2019. Black filly, 3 socks, stripe. Sired by Ragnarok (Rubinero x Sandro Hit x Weltmeyer) out of Fashionista (Farscape x Rotspon x Wolkenstein). Well proportioned filly with solid bone structor. Lovely uphill canter even when still unfolding. Fashionista is refined, elegant and feminine. She is very sweet and loves attention. Comfy horse to ride, lovely jump and very balanced mover. Foal should mature 16.1hh. Includes board/care until weaned. 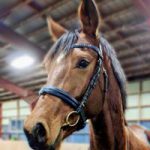 Young horse raising available. Due early July. Rascalino x Furst Romancier x Lemon Park. Sired by Rascalino (Rotspon x Velten Third) out of Ferguson ML (Furst Romancier x Lemon Park x Wenzel). This will be a super dressage prospect! Ferguson is refined, elegant and feminine with incredible gaits. She is very sweet and loves attention. 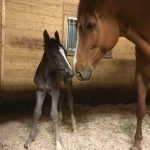 Foal should be black or bay with chrome and mature 16.2+hh. Eligible for Hanoverian registration. Includes board/care until weaned. 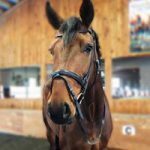 Young horse raising available. Sired by Ragnarok (Rubinero x Sandro Hit x Weltmeyer) out of Grand Prix dressage mare Mariska (Herder). 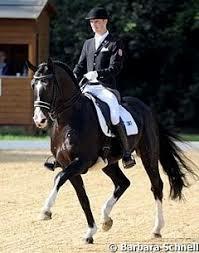 Foal is bred for FEI dressage as well as for mid level hunter/jumper and eventing. Foal will be black or bay, est 15.3-16.1hh. Includes board/care until weaned. Young horse raising available.